Greetings Butterflies! It's October which means the holidays are around the corner. 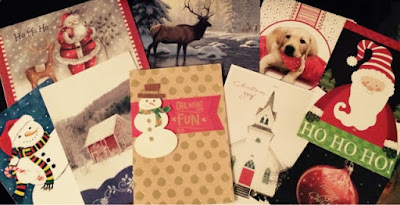 For the last three holiday seasons, I have had the pleasure of participating in an old fashion holiday card exchange with a few people from all over the world and it’s always so much fun; sending and receiving handwritten cards is so heartwarming and it defiantly helps spread holiday cheer. Last year I posted about different gifts from around the world and that post inspired me to expand my reach so instead of just exchanging cards with people in the States, I started exchanging holiday cards with a few people from all over the world. It’s a great experience and makes for a wonderful holiday tradition.